Here are eight easy-to-implement steps for creative and fun healthy eating habits during national nutrition month! 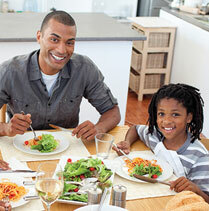 Let fruits and vegetables reign in your house! Keep them washed, peeled, cut and available in plain sight such as the front of the fridge, on kitchen countertops, on the dining table etc. Keep chips and pretzels out of sight. 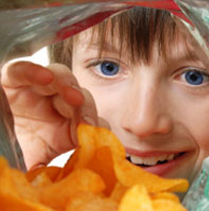 Better yet – limit purchasing too many processed snack foods that take the place of nutrients your kids need. Up to 20 exposures to a new food may be necessary to make kids try them. Need new ideas? 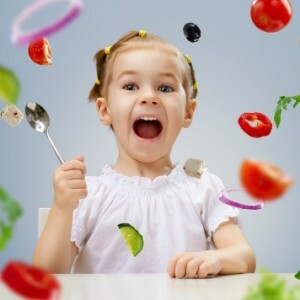 Listen to this free webinar on how to make good nutrition fun! Do not solely rely on sneaking vegetables into other foods. While this may seem like a good tactic, encourage your kids to try them whole too! Offer vegetables in various textures, colors, and forms – cooked and uncooked, with and without dips. Try jicama, raw sweet bell peppers and other crunchy veggies to start. Cool names make a difference. No kid can resist Super-Vision Carrots or Dinosaur Trees (broccoli) with Swamp Sauce (a healthy dressing, low sodium soy sauce or tomato sauce on the side). Shop, cook and eat together! 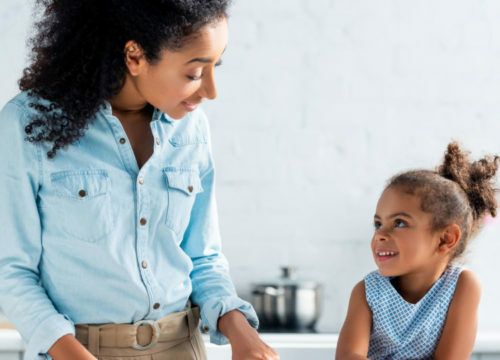 Kids are more likely to eat fruits and vegetables if they help choose them in a grocery store, prepare them at home and eat them with the family. Get fully charged before starting the day. Breakfast = brain power. Some examples of a good breakfast include yogurt, fruit, and nuts, a low-sugar, whole-grain cereal with milk and banana slices; eggs and whole grain toast; oatmeal with cinnamon and fruit. YUM! Turn on your defensive shield to fight bacteria and colds – eat more superfoods! Eat fruits, vegetables, and beans in every color, every day. 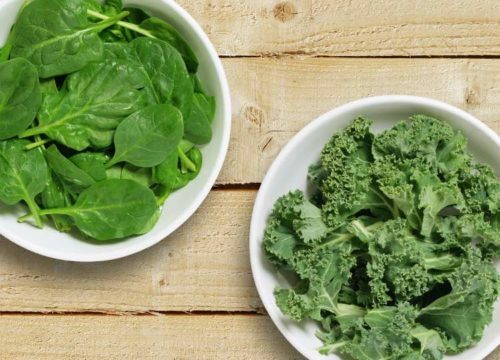 Be sure to eat lots of greens for healthy eyes, skin and nails. Choose more whole grains like whole wheat, spelt, quinoa, whole oats, millet and brown or deep colored rice. Enjoy healthy fats – avocados, nuts and olives – just don’t overeat them. This month, track your colors with our Super Crew color tracker. Read, play and learn about fruits and vegetables together in a fun way. Visit the Super Crew®. Check out our Super Crew trackers, fun activities and recipes in our Healthy Kids Today, Prevent Cancer Tomorrow campaign. This month focus on getting kids involved in snack and meal preparation – even if it’s just helping serve a healthy snack. Start by asking your child to choose a vegetable at the grocery store to cook at home and see what happens! Check out the many sections of our website -and commit to making a few small changes this month!